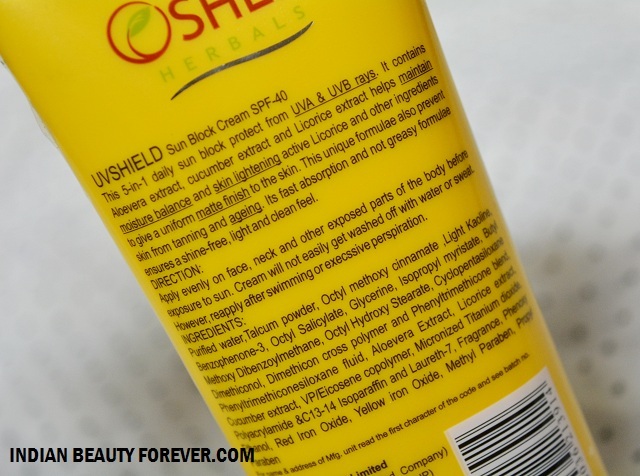 I will review a sunscreen today and it is Oshea Herbals UV Shield Mattyfying Sun Bock Cream. Sunscreens are very important especially in summers when the sun rays are more direct and we surely don’t want sun damage. This is a new brand that I tried a week ago. 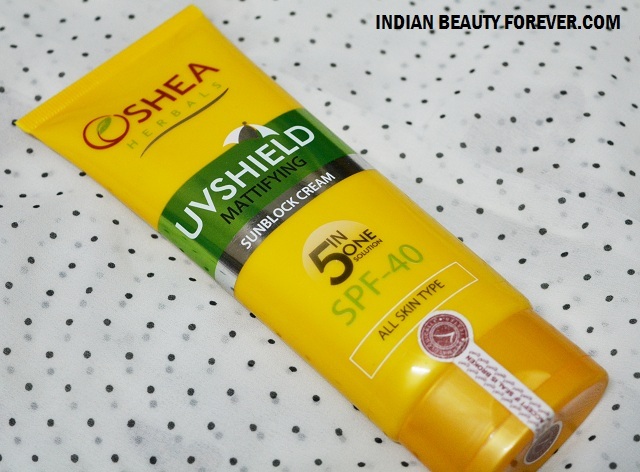 Price: Oshea Herbals UV Shield Mattyfying Sun Bock Cream is priced for rupees 295 rupees for 120 g pack. Product claims: This 5-in-1 daily sun block cream provides long-lasting protection against harmful UVA & UVB rays. It contains Aloe Vera, Cucumber and Licorice extracts that help maintain skin's moisture balance. This cream is easily absorbed by your skin, giving a uniform matte finish to the skin. 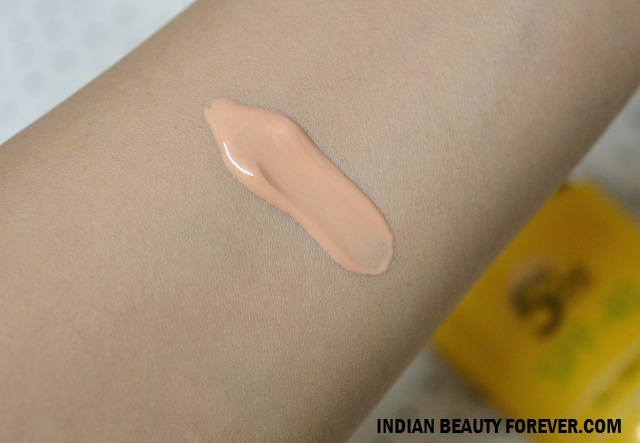 Its non greasy formula ensures a shine-free, light and clean feel. Daily use prevents skin from tanning and premature ageing due to exposure to sun. This sunscreen comes in a yellow tube pack. The sun block lotion resembles a sandalwood lotion or paste. It smells like sandalwood as well which is pleasant and not artificial smelling. The texture of this sunscreen is very light and while I am massaging this on my skin it feel very light and gets absorbed quickly unlike the other sunscreens. The good thing is that it doesn’t make the skin oily or greasy which I don’t want in my sunscreens. It’s more like a sunscreen with light non greasy skin moisturiser with SPF 40. I have used this 2-3 times and it doesn’t make me sweat. In fact, I am liking it's texture. This sunscreen is really good for oily to normal skin that needs a sunscreen that’s should not be oily or greasy yet gives good sun protection. It also has aloe vera extracts and cucumber extracts which further soothes the skin in summers. 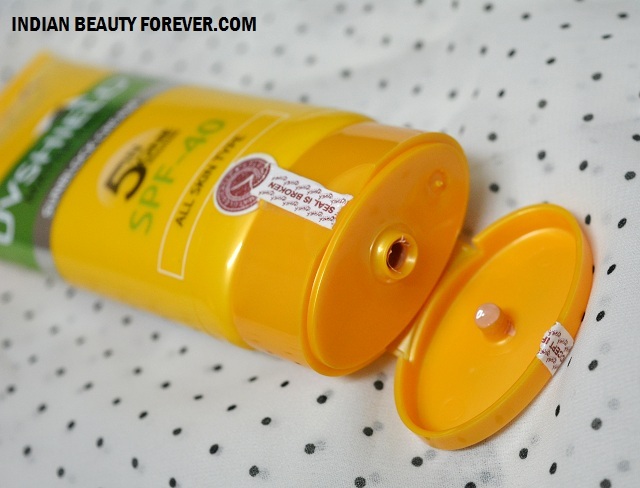 I have not faced any irritation or skin allergies after using this product. It also has licorice too which helps to keep the melanin under control. It says it is waterproof and water resistant but I have not observed that I mean it is not extremely waterproof in nature. I recently bought it.... And trust me it's as awesome as you said. I hv extremely oily skin n my skin loves it.